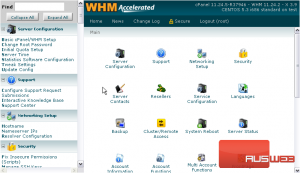 1) Find the Software category. 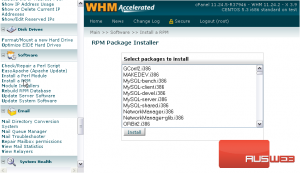 2) Click the link entitled Install a RPM. 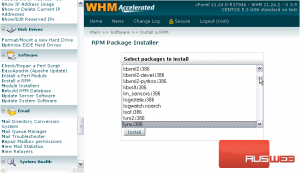 3) Find an RPM in the list that you might want to install. The program called lynx is a text-based web browser that works in SSH, or Linux command line. If the package was already installed and up to date — as was the case for us — then no action will be taken. Otherwise, the package should now be installed. This completes the tutorial. 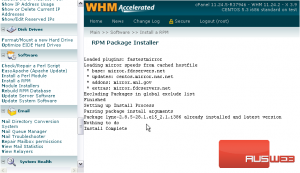 You now know how to install an RPM in WHM.